Brooke Ennis had a big night at Sandown, with an equal-career best four winners. 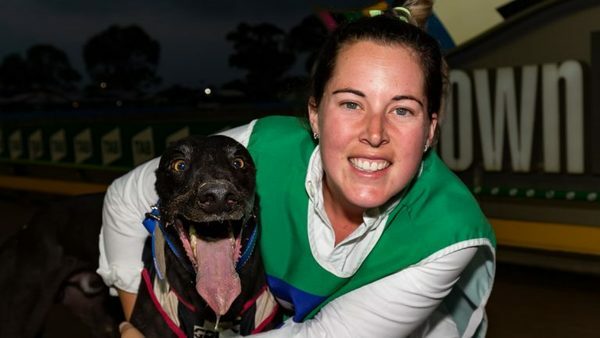 Brooke Ennis trained an equal-career best four winners at Sandown Park last Thursday night. Particularly pleasing was the win of kennel favourite Tritt Tritt. The son of Ennis’s former star My Bro Fabio blew the start and was shuffled back to a clear last past the post the first time before railing strongly to improve to fourth place through the first turn. He switched to the outside down the back straight to sweep around the leaders and power to the line to win by a length and a half in 29.48.